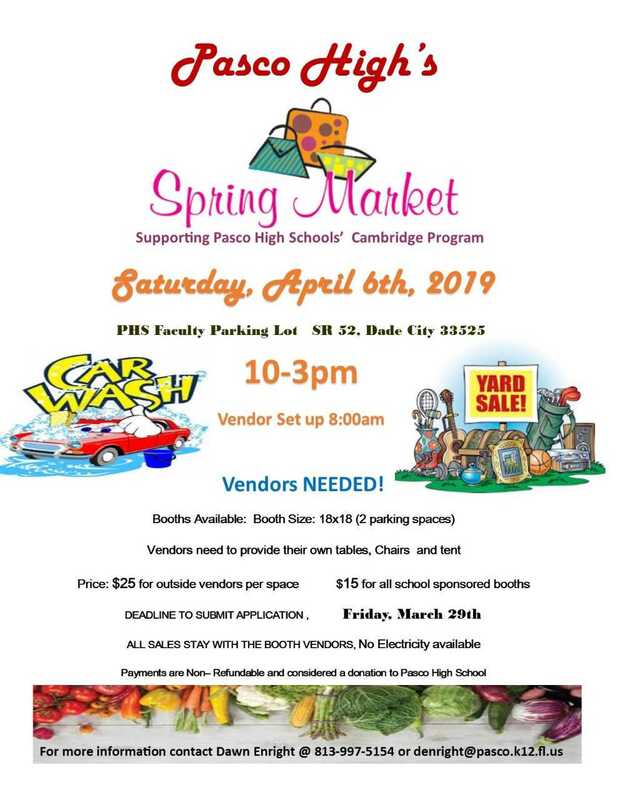 Pasco High School’s Cambridge Parents Association will be hosting a Spring Market on Saturday, April 6th. 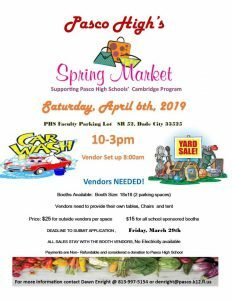 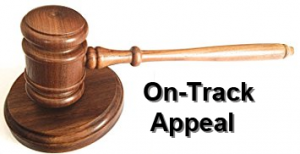 Vendors are still needed. 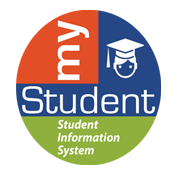 For more information see the flyers attached. 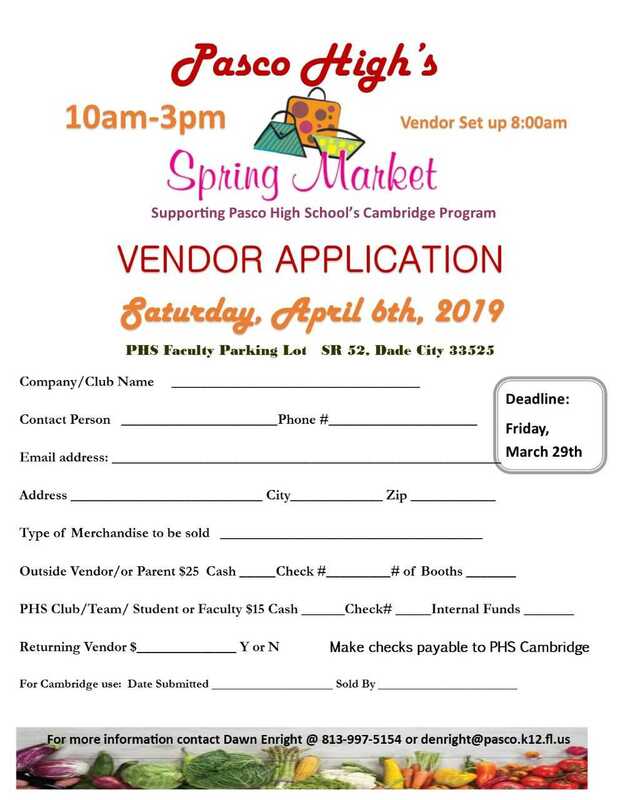 If you are interested in being a vendor at this event, please submit a Vendor Application to Mrs. Enright.